How can creating a personal playlist, listening to favorite tunes, singing simple melodies, and pretending to conduct a symphony improve your life? Come to this free workshop and find out. In this lively one-hour session, coming up on July 20, we will share ideas for using music to deepen connections with people who are living with dementia. Some of these ideas, gleaned from top innovators and researchers, are from my upcoming book, Connecting in the Land of Dementia: Creative Activities to Explore Together. According to numerous studies, music improves the lives of those living with dementia by reducing the need for psychotropic drugs, increasing socialization, and relieving depression. The event is going to be joyful and fun and we’d love to experience it with you. Deepen your connections, increase communications, and ratchet up your fun quotient by adding music into your caregiving journey. 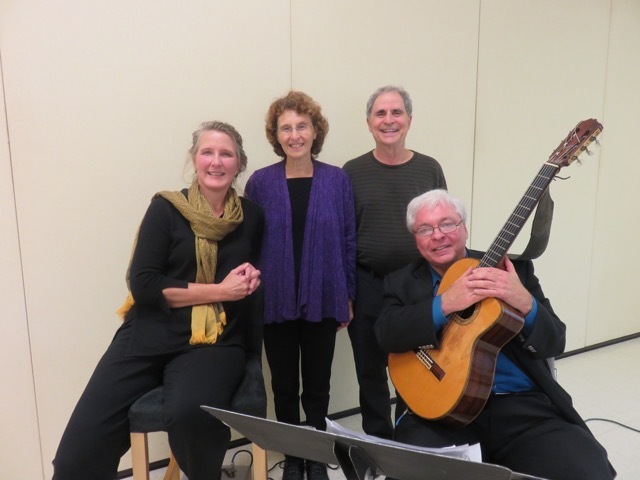 Authors and dementia advocates Ron Zoglin and Deborah Shouse team up with guitarist Rod Fleeman and singer Cynthia Schroer for this hands-on session. They’ll share easy music-oriented ideas that can soothe anxieties and unlock creativity in people who are living with dementia, as well as splash notes of joy and renewal into the care partners’ lives. We are partnering with Shalom University to present this free session on July 20th from 10:00 to 11:00 at Village Shalom, at corner of 123rd and Nall, 5500 W 123rd Street, OP 66209. To sign up for this musical experience, just call Bree at (913) 266-8469 or email vsu@villageshalom.org as soon as possible. Victor Hugo said it so beautifully: Music expresses that which cannot be put into words and that which cannot remain silent. During my mom’s dementia journey, music often inspired and connected us. Here is one of those melodic moments, excerpted from my book, Love in the land of Dementia: Finding Hope in the Caregiver’s Journey. 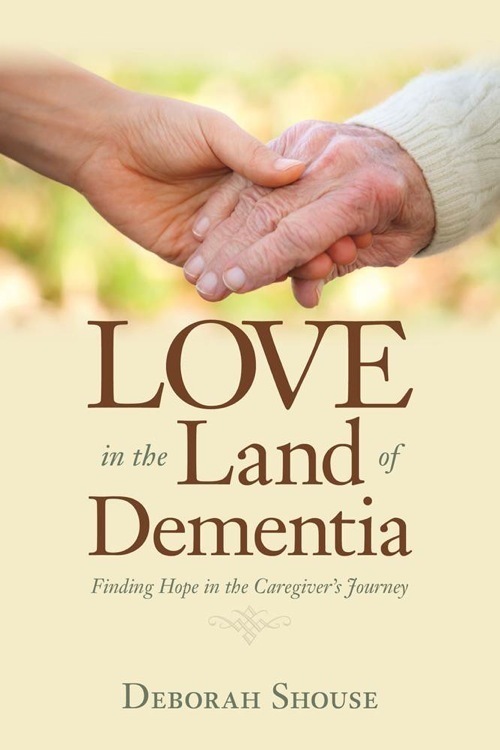 The story is set in my mom’s memory care community. This is the widest hiway to the heart with music!!! I’m so glad you are doing this and I wish for it to be done many, many times! Love the excerpt from your book. I’m moving my mom to a memory care unit tomorrow and this is just another beautiful hug from the universe along this journey. All blessings for your work!